ALAMO — Police here will launch the city’s first Neighborhood Watch program today, one of the latest community policing efforts the department has put into action since Alamo Police Chief Baudelio Castillo’s February hiring. The program will begin in the city’s Ortega subdivision, Castillo said, and will expand to a new subdivision each week and eventually to apartment complexes. The city has roughly 20 subdivisions. The idea behind the crime prevention program is to connect neighbors and encourage them to keep an eye out for one another. The police department will organize the first community meeting in each subdivision, during which neighbors will elect program leaders who will be tasked with keeping residents informed. Officers will then meet with each Neighborhood Watch group twice a month. The start of the Neighborhood Watch program comes on the heels of the Crime Stoppers program the department launched last week. The anonymous hotline allows residents to share tips and those who share a tip resulting in an arrest are eligible for a monetary reward. And last month, the department began a bike patrol unit focused on curbing vehicle burglaries in high-traffic areas. As part of the program, five officers assigned to patrol shopping center parking lots notify drivers of items of value left visible inside by leaving cards on their windshields. 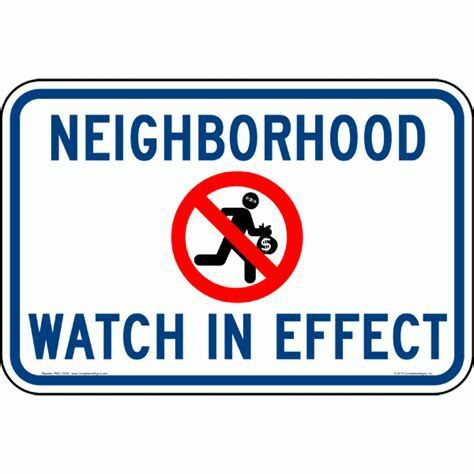 The Ortega Neighborhood Watch meeting is 7 p.m. Tuesday. Residents looking for more information can contact the Alamo Police Department at (956) 787-1454.